Miz Creed. Photo by Jim McCue, Maryland Jockey Club. 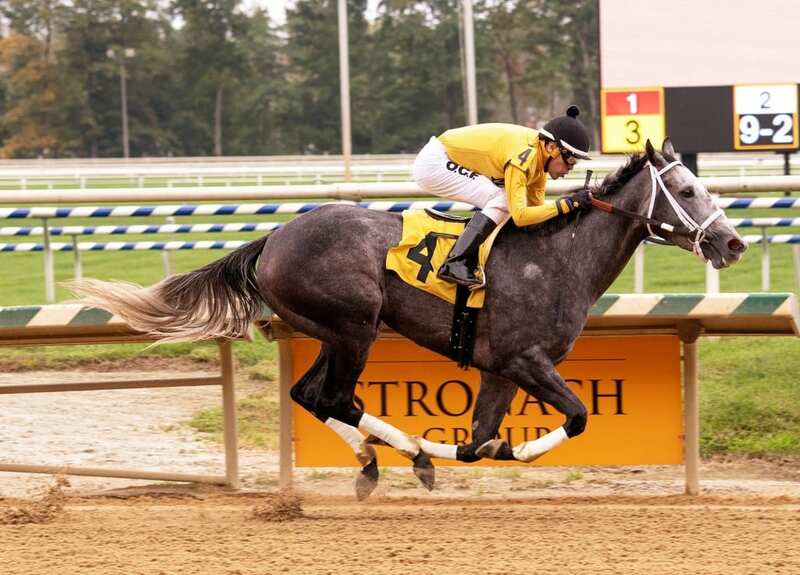 Miz Creed, racing for accomplished late breeder Marvin Little Jr., broke on top and never looked back on the way to an easy 3 ½-length front-running debut victory Saturday at Laurel Park. Under a hand ride from jockey Oscar Flores, Miz Creed ($12.80) ran seven furlongs in 1:23.60 over a fast main track in the $40,000 maiden special weight for fillies and mares 3 and up. Atlantic Avenue finished second over another first-time starter, $250,000 auction purchase and narrow 3-1 favorite Taking Aim. Miz Creed was sharp leaving the gate from Post 4 in the field of seven, setting the pace on the outside of Overheated through fractions of 23.19 and 46.86 seconds. Miz Creed put that rival away around the turn and straightened for home in command after six furlongs in 1:11.21, separating from her rivals through the lane. The 3-year-old Jimmy Creed filly had been dutifully prepared for her unveiling by Charles Town-based trainer Timothy Grams, who received Miz Creed from Marvin Little Jr.’s son, Jeff. The elder Little, who passed away in July 2017 at the age of 79, bred 1991 Preakness (G1) and Belmont Stakes (G1) winner Hansel.